This entry was posted in Travel Photo of the Day on October 30, 2013 by joshuadbest. This entry was posted in Travel Photo of the Day and tagged Inca Trail, Peru on October 11, 2013 by joshuadbest. Taking pictures is a great way to remember and catalog your adventures, and with the digital age you can take as many as you want. It is important to remember that the world looks different through the lens then it does through your eyes, so take the viewfinder away from your face and look around. Take in not only what is in front of you but what is all around you. In Peru I visited Machu Picchu, I made sure to get the necessary photo-ops, but I also wanted to see what no one ever looks at, the mountains all around the beautiful site. After making the mistake of not talking with locals many times I realized that you never truly have been to a place until you have talked with the people who live there. It doesn’t have to be deep or life changing, but find out where they work, what they eat, what TV they watch. Some of the answers may surprise you and not thinking about your own life for a second will keep you focused on the area. When you travel around you’ll be thinking less like tourist (pictures, pictures, pictures) and more like a local (food, jobs, traffic, etc.). My last bit of advise is to just slow down. Traveling can be incredibly hectic and fast paced, especially if you crammed your days full (which I don’t blame you). I have been traveling and moving so fast that I don’t appreciate the world around me. So I stop wherever I am when I realize I’m rushing and I take three deep breaths and just look around. I try to focus on the smells, the colors, is it hot, is it cold, and when I feel like I have successful slowed myself down I continue on. So go out and explore, but take your time. This entry was posted in Uncategorized on September 4, 2013 by joshuadbest. This entry was posted in Travel Photo of the Day on August 30, 2013 by joshuadbest. Though the Native Americans in the area (there were many tribes) knew of the Grand Canyon for years and held it as a holy site, the earliest written record of the Canyon was by the Spanish. In 1540, Spanish conquistador Francisco Vasquez Coronado was in search for the mystical Seven Cities of Gold, in the American Southwest. He ordered several soldiers to follow a Hopi guide to a site they had heard tell was a great holy site. 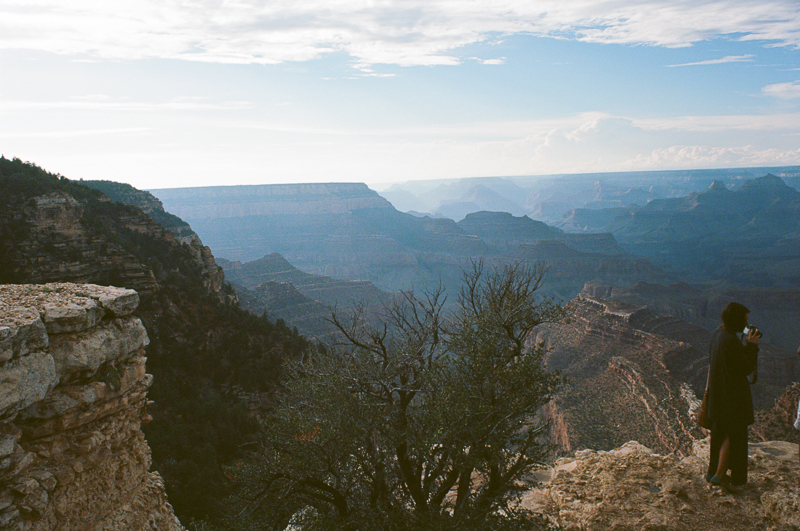 Their guide lead them to the southern rim of the Grand Canyon. Imagine following a man to an unknown location, traveling on horse back for days through the desert and arriving at the rim of the Grand Canyon, looking out into the great chasm that drops over one mile into the ground; one of the greatest geological sites in the world appearing before you, the first Europeans to set eyes on such magnificent and raw natural beauty. What an amazing and awe inspiring honor. They were the last Europeans to see the Canyon for over 200 years. Today the Canyon is still being cut by the Colorado river, lazily flowing through the walls of stone. It took over 17 million years to create the Canyon that is 277 miles long, up to 18 miles wide, and reaches over one mile deep. It is at the center of the Grand Canyon National Park, which is dedicated to maintaining the site, and educating the public about the Canyon, its history, and its importance. Visiting the Canyon is a truly unique and indescribable feeling, it is difficult to find a place that makes one feel so small, and appreciate the raw power and might of nature. The Southern rim is where we stopped for a day and honestly we could have spent more time there. However, we were able to visit all the major vantage points from the main rim road. If we had more time, taking a hike or a donkey ride to the bottom or visiting other spots along the canyon would have easily filled another day or two. The Northern rim is another beautiful area, a bonus of the North is that Zion and Bryce National Parks are not too far away, making a great three park trip. 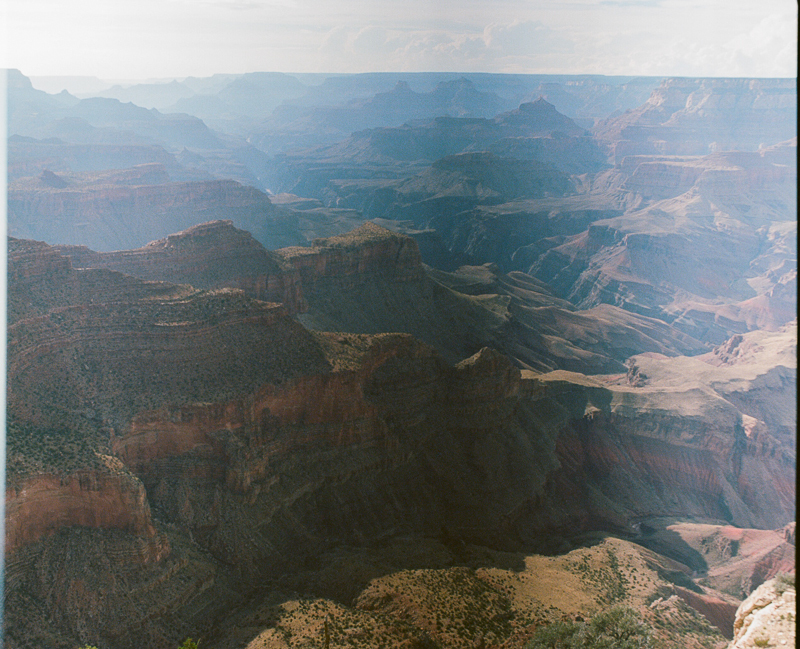 Regardless of how you get there or how long you stay, the Grand Canyon may prove to be one of the most magnificent natural wonders you may ever visit. This entry was posted in Uncategorized on August 27, 2013 by joshuadbest. The U.S. is full of unique spots and off-beat places to pull over and check out while driving across America. Diners shaped like hot-dogs and the worlds largest thermometer all make worth-while stops when you have been driving for nine hours and need a break from the cramped, sometimes oddly smelling world that is the inside of your car. One of the those spots lies in the desert between four states; Utah, Colorado, New Mexico, and Arizona. At the meeting of these states after a long drive through desert wastelands is a spot called Four Corners, a cool tourist trap with a photo-op that’s hard to pass up. Located on a Navajo Reservation, this must see pull-off gives you a chance to stretch your legs and experience some unique local culture. The Navajo have built up a nice area with the official four corners in the center. Surrounding it there are stales where local artisans sell their wares, be it hand crafted arrows, or turquoise jewelry. One of my favorite stands was selling fry bread, essentially fried dough. In addition to the usual toppings you could get salt, apple butter, apricot jam, and several other unique items. It was a great snack to munch on while looking at all the local artists’ work. After walking around the stales and picking up some souvenirs, we grabbed a Tigers Blood flavored snow cone and hit the road. Twenty minutes and a few dollars later we’d broken up our ride, seen a unique part of America, and we can now say we’ve stood in four sates at once. This entry was posted in Uncategorized on August 23, 2013 by joshuadbest. We arrived in Arches National Park late in the afternoon following a relatively short and amazingly beautiful ride from Boulder Colorado. We pulled into the park entrance with plenty of time to do several hikes and stop at a few vantage points accessible by car. What we didn’t know was that the park is so big it takes about an hour to get from the visitor center to the majority of the trailheads. So now in a fight against the oncoming sunset we decided to hike to one of the most popular arches, Delicate arch. It was a beautiful and somewhat strenuous hike (in 102 degree weather) to the arch, but it was worth every drop of sweat. We rounded the top of the final rock climb and there was the gorgeous red sand stone arch, ablaze in the sunset, of course upon seeing the fantastic and awe inspiring colors, we realized Adam had only brought his black and white film. I could go on about its beauty, but nothing I could say and no picture could ever capture the feeling of being at that place, the wind, the warmth, the comfort and respect that this raw nature evoked. This entry was posted in Uncategorized and tagged Arch, Arches National Park, Delicate, delicate arch, Hiking, Moab, National Parks, Nature, Utah, West on August 14, 2013 by joshuadbest.